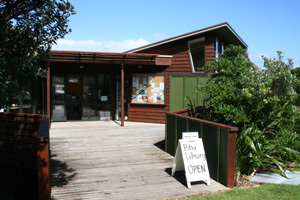 The Piha Ratepayers and Residents Association has recently completed a significant project where they organised and contracted major repair and maintenance work to the Association’s building on Seaview Road that is occupied by the Piha Community Library. The roof has been replaced with a high quality pre-painted marine grade aluminium roof, the corroding structural support brackets under the building have been replaced with stainless steel, the exterior of the building has been repainted and the under-floor area has been insulated and enclosed to maximise the heat retention in the building. 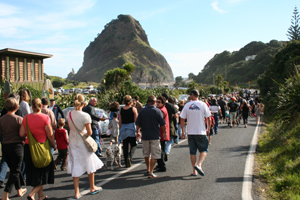 Our heartfelt thanks go to all of those who provided funding and sponsorship and to Jami Parkinson (Parkinson Plumbing), Tom Emerson (Emerson Building and Construction) and Gary Bray (Piha Painters), the local contractors who undertook the work. We also thank Dave Neilson (Elite Insulation, Henderson) for his contribution in providing and installing the insulation and lining the underfloor area. The building is looking good, the librarians can look forward to a warmer environment, the roof does not leak and the structure will remain solid for a good many more years.